Joseph Frank Keaton, nicknamed “Buster” from early childhood, started making movies in 1917 and continued working all the way until his death in 1966. 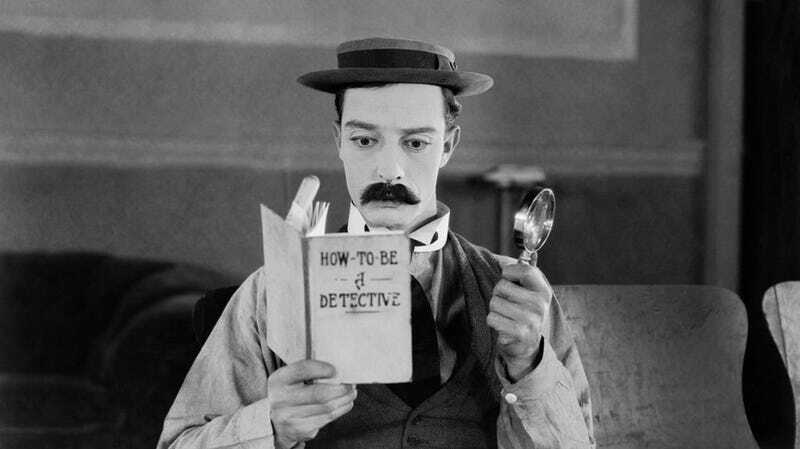 But his legendary reputation as a comedian rests entirely on a prolific period that lasted from 1920 to 1928, when he released 19 ingenious short films and 12 features (including such all-time masterpieces as The General and Sherlock Jr.) in quick succession. The technical genius of these films is self-evident; Keaton’s gags and stunts are timelessly funny. But there is also the matter of Keaton the sardonic, ironic artist—the elegant surrealism of his best movies, their lack of sentimentality, their morbid wit. The Keaton character—pale, existentially emasculated, often dressed in that famous flat hat (actually a cut-down Stetson)—exists in a dreamlike world that parodies the clichés, pretensions, dime-store melodramas, and can-do spirit of the age. Employing extended clips and interviews with several generations of aficionados—from Mel Brooks and Werner Herzog to Johnny Knoxville and Bill Hader—Bogdanovich breezes through the ups and downs of Keaton’s career: his childhood and early stardom on the vaudeville circuit; his screen partnership with Roscoe “Fatty” Arbuckle in the 1910s; his struggles with studios and alcoholism in the 1930s. Though The Great Buster lacks the personality and insightful wit of, say, the film-history clipfests of Bogdanovich’s French contemporary Bertrand Tavernier (The Lumière Brothers’ First Films, My Journey Through French Cinema), it makes for an effective, accessible primer on Keaton’s body of work. In other words, it does what a Keaton primer should, touching on the development of his stone-faced screen persona; his fascination with trains, gadgets, and old-timey machines; his role in Charlie Chaplin’s Limelight, which found the silent comedy’s two greatest actor-directors sharing the screen for the first and only time; the dark side of his humor. But is it essential? The stodginess of Bogdanovich’s approach limits The Great Buster’s observations on Keaton’s art and importance. His tremendous influence on action-movie slapstick (especially in Hong Kong) is restricted to a single clip and a few enthusiastic, non-cogent comments from Quentin Tarantino. Meanwhile, Keaton’s following in the 20th-century avant-garde is reduced to a dismissive aside about Samuel Beckett. 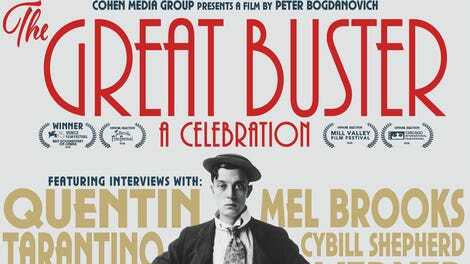 Bogdanovich’s main gambit involves saving the discussion of Keaton’s silent features—his crowning works—to the final third of the documentary, at which point The Great Buster drops the gabby talking heads to become an extended clip show. The result feels like a DVD or Blu-ray special feature with a celebrity pedigree, rather than a movie that can stand on its own two feet.